In March this year we were looking to build up our flock as our egg production was too low. I took the kids to the farm nearby to pick up a couple of point of lay hens and they convinced me to also get a couple of young chicks for them. One of the point of lay hens turned out to not be a hen at all - but has become a very noisy and overprotective (read aggressive) rooster. Rather than get rid of him I told my closest neighbours of the situation and asked them to let me know if he was becoming a problem for them - and that I'd deal with it. I contacted council to check in regarding the legalities of having a rooster in town, and it appear that this is not an issue. I imagine that if people complained then that would be a different story. I make an effort to get along with my neighbours, which certainly helps in situations like this. My hope was that the rooster would help provide us with the next generation. Principle 12: Creatively use and respond to change. The story of Tang I've become quite attached to my Kombi. I bought it in back in 1995 when I decided to head off for an adventure around Australia. I spent about 5 years living on wheels and 'Tang' and I became close friends. We've had our good and bad times, but mostly good. We also know each other intimately. About 10 weeks ago I suspected that something was seriously wrong with Tang. The gears were playing up. My VW specialist mechanic in Pylong, about 35km away, is usually busy. So it was a 3 week wait before he would even look at the van. I've learn't not to push Trevor too hard over the years, just give him the time he needs to get things done. A friend told me a story about her putting the pressure on him and getting her Kombi (unrepaired) on the back of a tow truck. It's been a very busy time over the last few months. 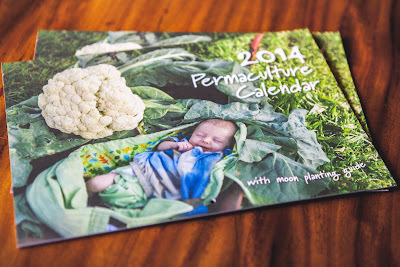 I've been collecting images and stories from around the world to illustrate the 12 Principles of Permaculture for the 2014 Permaculture Calendar. It's now available and the busy time continues as I spread the word. The cover image, which is very cute, is of young Verti from Whanganui in New Zealand. Her father, Nelson, writes a great blog called Eco Thrifty Renovation about living more simply - highly recommended. 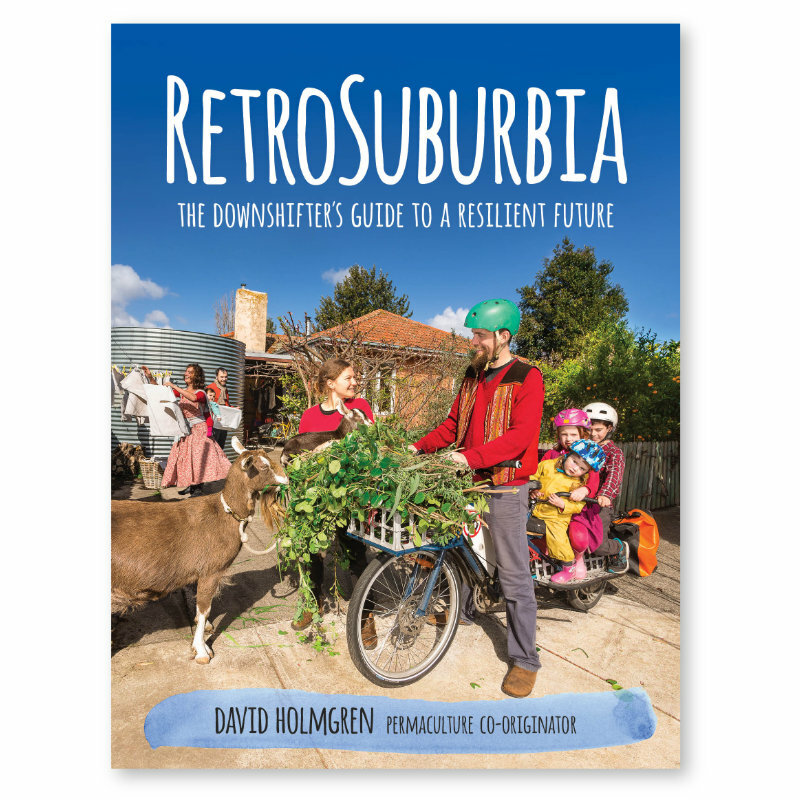 I see similarities between our blogging efforts, though he post more frequently than I. I'd also like to point you towards another blog about a simple life in the suburbs by Michael Conlin called Suburban Digs, he's based in Canberra. Michael has allowed me to use some of his amazing photos, which I've used in this post. I love his work. After one term of two days a week at Tallarook Primary School, Kai decided that he wanted to spend more time at home. He kept telling us that he found school 'boring'. We explained to him that if he continues one day a week at school he would still be able to spend time with his friends that he has made, the thing that he enjoys most. He thought that one day a week sounded much better, and so for the second term Kai told his teachers that that's what he wanted to do. With 5 days in a row of heavy frosts over the solstice period winter has well and truly set in. We've not needed to run the fire during the days though, as it's been sunny most days which has been heating up our solar passive living space beautifully. On occasions the house has remained so warm that we haven't even needed to light the fire at night - though hot water bottles are a must for the kids. With so much sun around we've often been using our electric kettle over the gas alternative, figuring that our solar PV system would be generating an excess. When the fires going that's our first choice. Picking olives can be a great way to hang out with friends, lend a helping hand and get a harvest to last you till next season. While we wait for our olive tree to grow, we have been invited to harvest olives from friends trees. We were invited up to Wuk Wuk, a property in Tallarook, with another family to pick green eating olives and have a BBQ. After an hour or so picking and a great night out we ended up with about 10kg of green olives to preserve. I've tried a couple of techniques in the past, but wasn't super impressed by the result - although they were pleasant enough to eat. One of the main issues I had was with the amount of salt used. I wanted to try a technique that allowed me to reuse the water that is used for rinsing the olives.